Being quality oriented organization; we deal in offering of MAG Welding Machine to the clients. 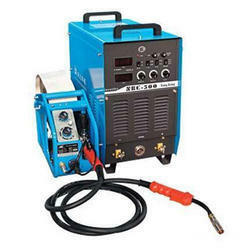 These MAG Welding Machines are used in various industrial applications. These MAG Welding Machines the cutting edge technology along with the sophisticated tools to give an excellent performance for long period of time. - igbt - inverterised power source with closed loop feedback control enables remote control of welding current and voltage. 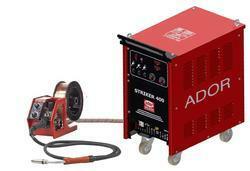 Arc conditioned feedback system ensures constant arc length, eliminating need for highly skilled welder. - instant arc starting and stopping controls. We are offering BWI 200 M DC Inverter welding machine (electronic base) 200 amp, 21kva, 3phase welding machine. We are largest manufacturer of Auto MIG/ MAG Welding Machines, it is ready, willing and able to deliver superlative steel welding and guarantees 100 % system performance!